← Pottery Classes in Acocks Green **Update 2015** No longer available at Stone Hall. 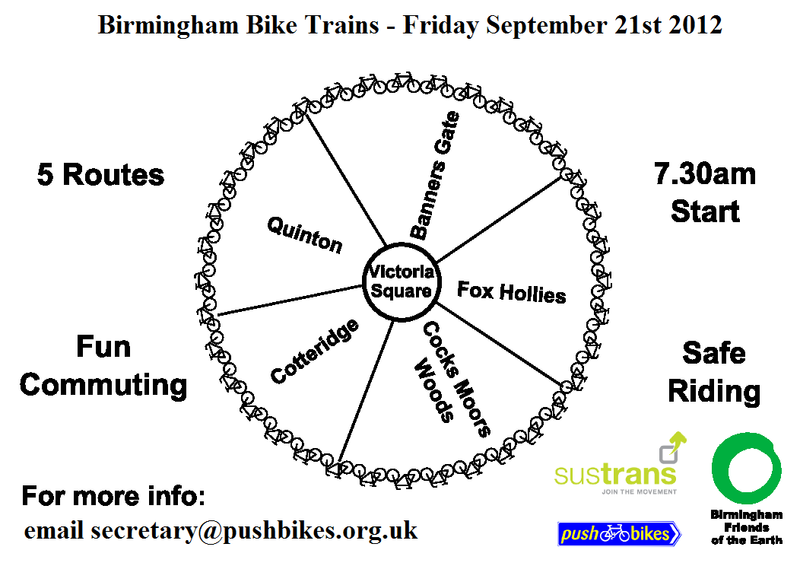 This entry was posted in Events and tagged Acocks Green, Birmingham, City Centre, cycling, cylists, Fox Hollies, Fox Hollies Leisure Centre, friends of the earth, Inn on the Green, Pushbikes. Bookmark the permalink.